An ideal selection for pulpit use or for the vision impaired, the KJV Super Giant Print Reference Bible includes 18-point type that s twice as large as most standard Bibles. Among the other features are a four-color presentation page section (Presented to; Certificate of Marriage; Births; Marriages; Occasions to Remember; Deaths), eight four-color maps, topical concordance, two-column text setting, and the words of Christ highlighted in red type. 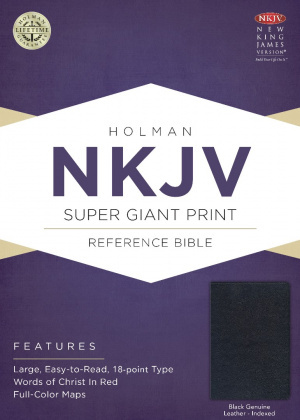 NKJV Super Giant Print Reference Bible, Black Genuine Leathe by Holman Bible Staff, was published by Holman Bible Publishers in October 2016 and is our 53763rd best seller. 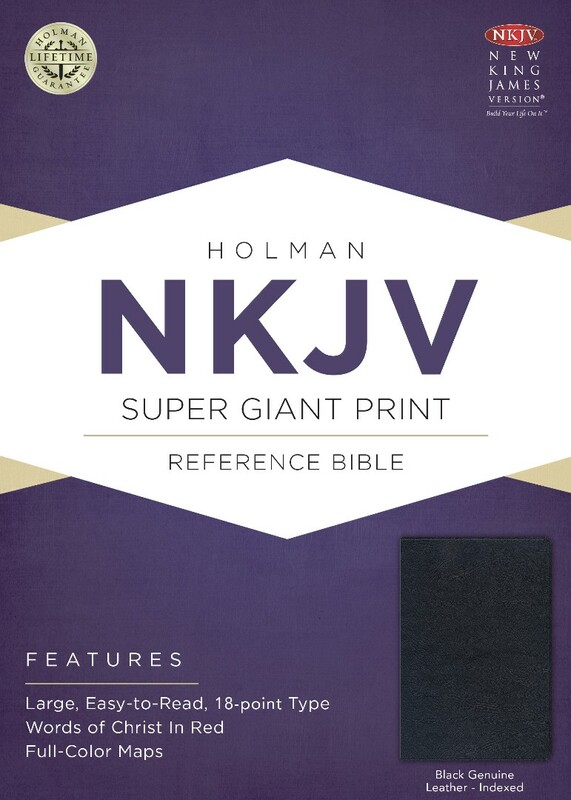 The ISBN for NKJV Super Giant Print Reference Bible, Black Genuine Leathe is 9781433645136. Be the first to review NKJV Super Giant Print Reference Bible, Black Genuine Leathe! Got a question? No problem! Just click here to ask us about NKJV Super Giant Print Reference Bible, Black Genuine Leathe.